Experience The Skies published a news piece on the Delta Air Lines and Virgin Atlantic’s new pop-up pub concept for nine days to showcase the 230 destinations they operate jointly to the United States (see post). This insight is a follow up to the pub experience with discussion how the concept will build awareness on their joint venture partnership, technology integration and marketing exposure. 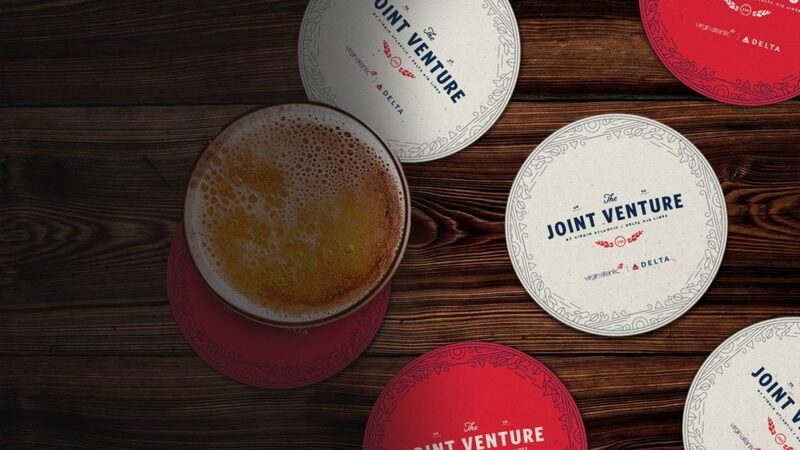 The pop-up pub concept creates a unique opportunity for both Delta Air Lines and Virgin Atlantic to showcase its JV partnership for travel between the US and the UK. This type of partnership is more in depth than a codeshare agreement as scheduling, promotional efforts and airline loyalty member benefits are specifically coordinated to maximize connectivity, convenience and revenue generation. Highlighting the 230 US destinations shows how vast their combined network is and how UK travellers would be able to reach many destinations in the US within two flight connections. 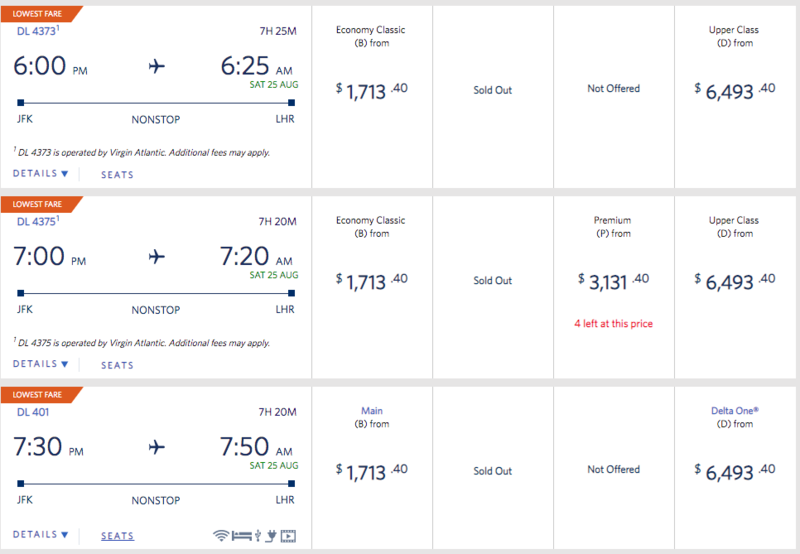 This is comparable to the options available by their JV competitors United Airlines / Air Canada / Lufthansa and British Airways / American Airlines / Iberia / Finnair. 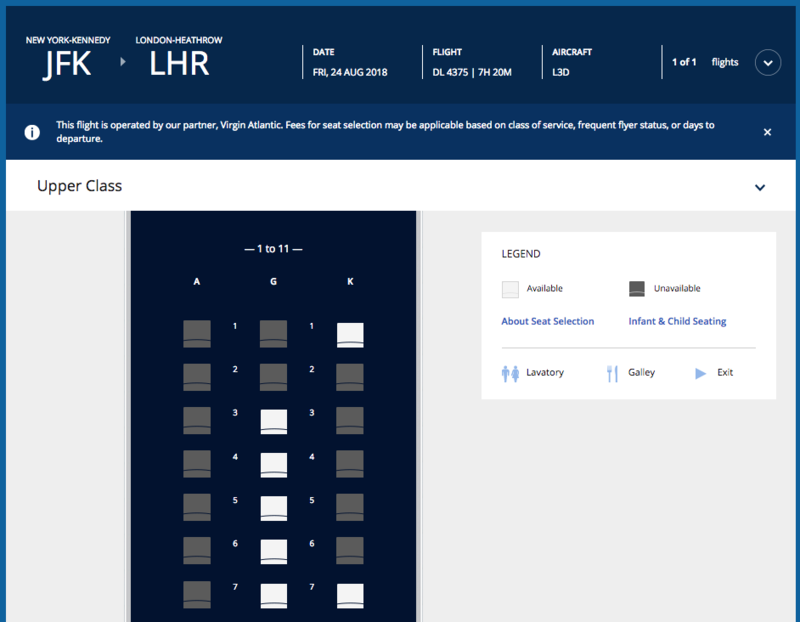 Delta Air Lines and Virgin Atlantic systems are interfaced to allow customers to book itineraries (see diagram 1 below), reserve seats (see diagram 2 below), check in and manage their journeys online or through their mobile applications. Technology integration improves the overall customers experience. Diagram 2 – Both Delta Air Lines and Virgin Atlantic customers will be able to access seat maps for advance selection as per ticketing options. This type of technology integration is not available across all Delta airline partners. Their respective loyalty programs are linked up so that customers can earn miles or receive status recognition during their travel for benefits and irregular operation support. Airlines are increasingly more creative in how they engage current and future customers. This pop-up pub concept builds and improves marketplace awareness and fosters a fun atmosphere for those who perspective customers who want to try Delta Air Lines or Virgin Atlantic TransAtlantic services in the future. 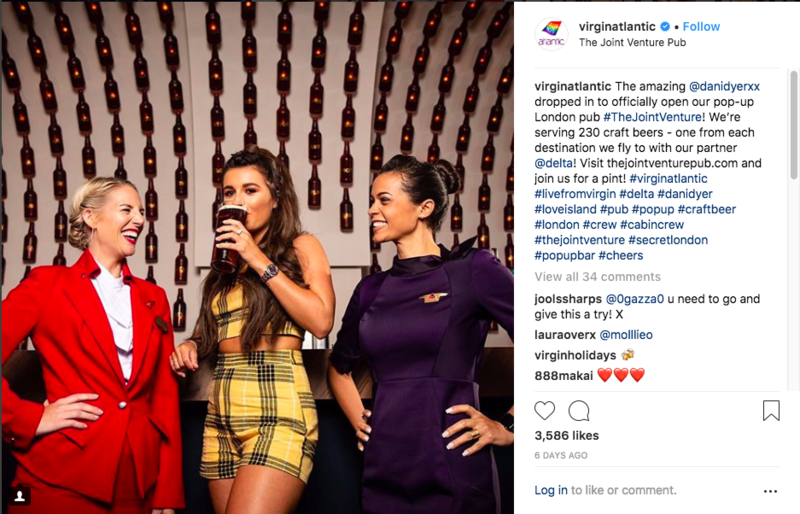 Experience The Skies reviewed social media engagement and noted that the announcement gathered the most views and interests on Virgin Atlantic’s Facebook page with over 8,000 views and Instagram assets (#thejointventure, The Joint Venture Pub) with more than 4,000 likes as at August 14, 2018. The London based airline was not as successful with Twitter and there were no YouTube involvement. Both Delta Air Lines and Virgin Atlantic are known for imaginative promotional efforts. Expect both to partner up again in the future to build on the brands together. 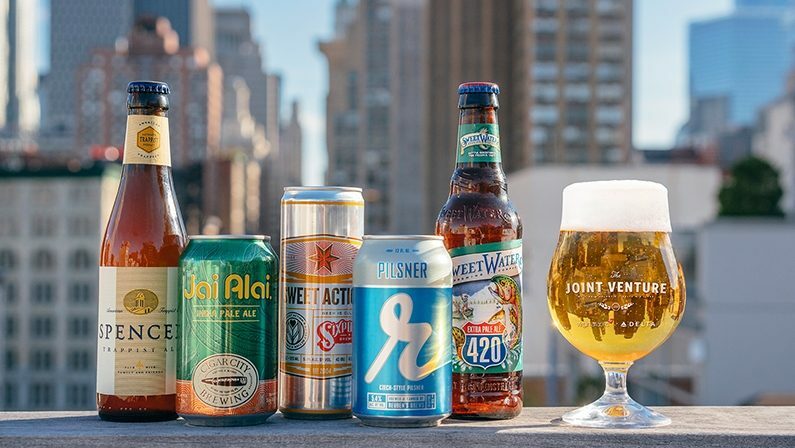 Additionally, it would be beneficial for both to add a new dimension to collect customer insights on these promotions, further engage them through personalization and convert them into customers by providing them with the right craft beer!